It’s no secret that we’re really into salt crystals. 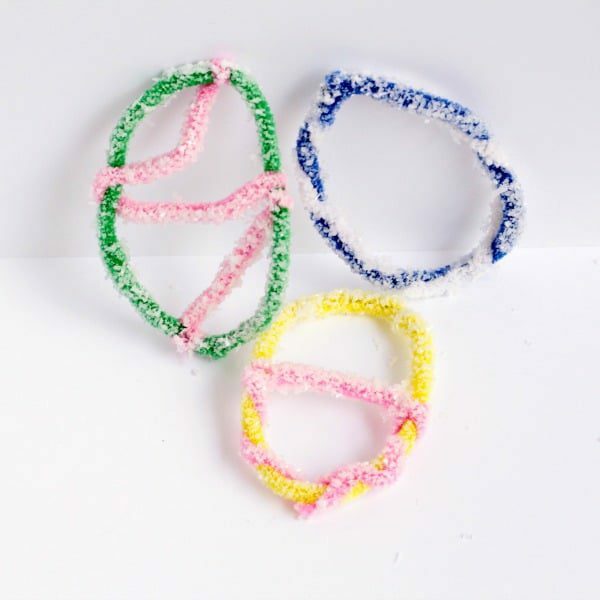 We love making salt crystals as one of our science experiments for kids because they are easy, take just a little while to make, and they illustrate so many fun scientific principles! 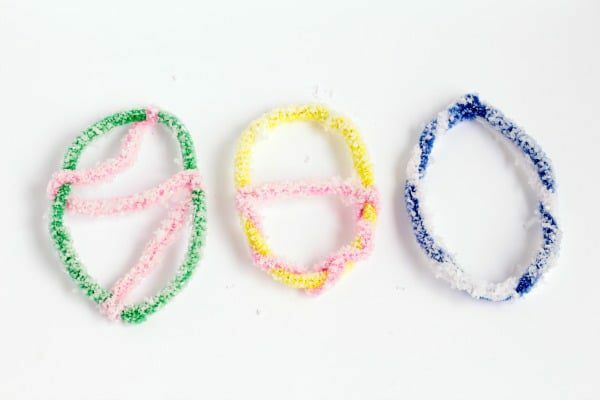 With a single salt crystal, you can learn about salt molecules, ionic bonds, evaporation, molecule attraction, and the chemical properties of salt and water. There is a lot going on behind this super easy science experiment! For Easter, we decided to make salt crystal Easter eggs to round our our Easter STEM activities! If you want to transform this science experiment into a STEAM project, hang your salt crystal eggs from a window or on an Easter tree! My kids absolutely loved this experiment and it was so much fun watching the eggs get coated in a layer of sparkly, square salt crystals. 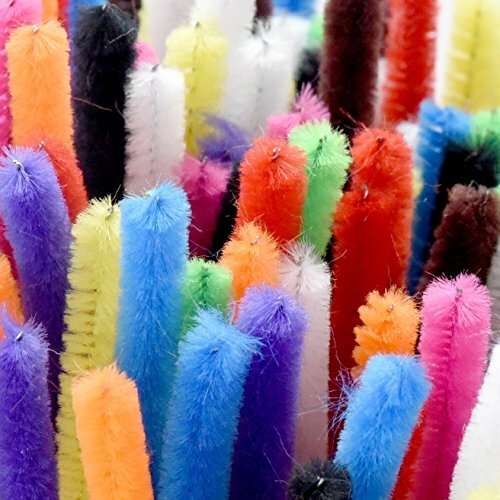 If you want even more Easter science experiments, try our bunny tail slime, exploding rainbow Easter eggs, or fizzing Easter eggs. Find out how to make your egg crystals science project right here! 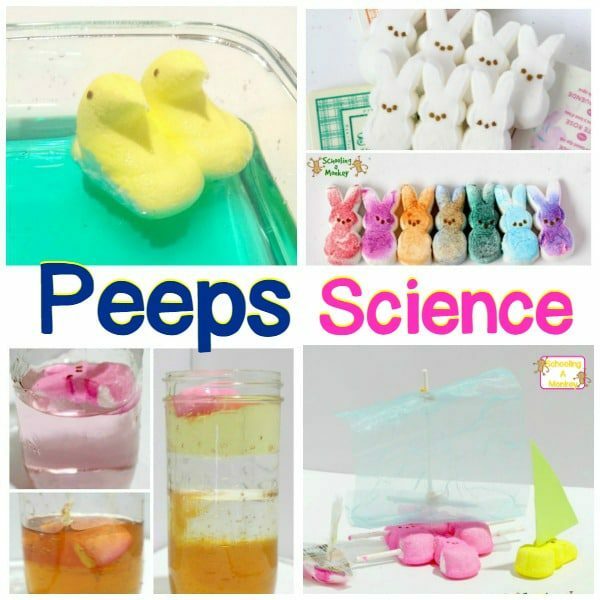 WHAT ARE EASTER SCIENCE EXPERIMENTS? Science experiments can get a bit boring if you do them over and over again. But if you bring in seasonal elements for each holiday, then even common science experiments become fresh again. 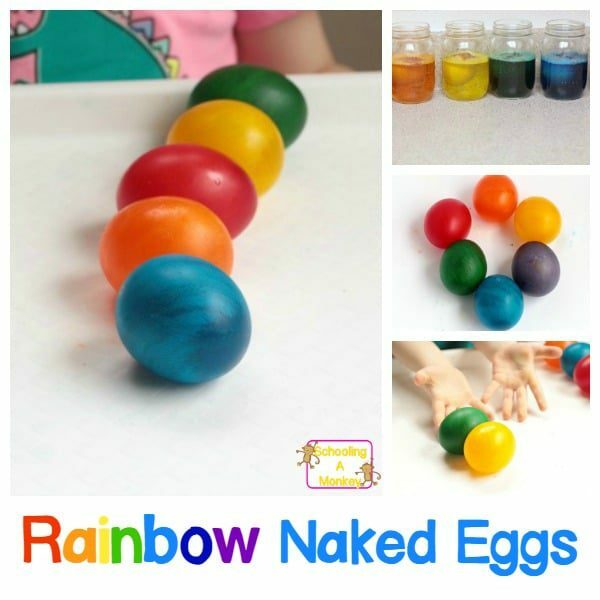 With Easter science experiments, kids are learning scientific concepts and expanding their knowledge of science, but the use of Easter themes keeps these experiments fresh and fun. WHY DO EASTER SCIENCE EXPERIMENTS? 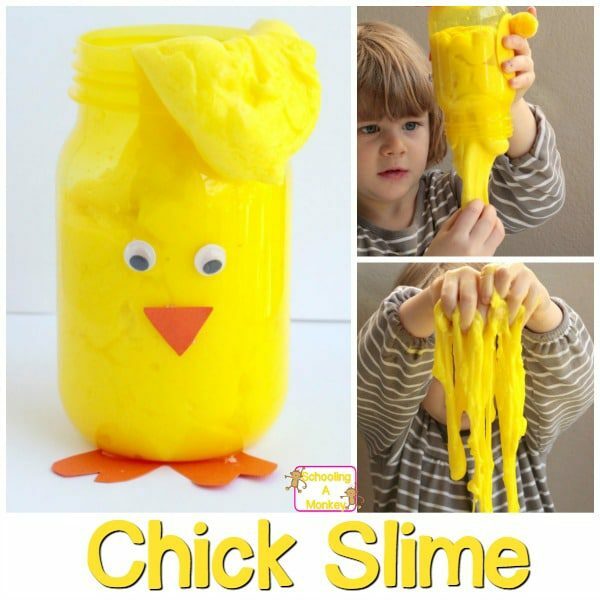 I like to do Easter science experiments because my kids love using seasonal themes in their science experiments. 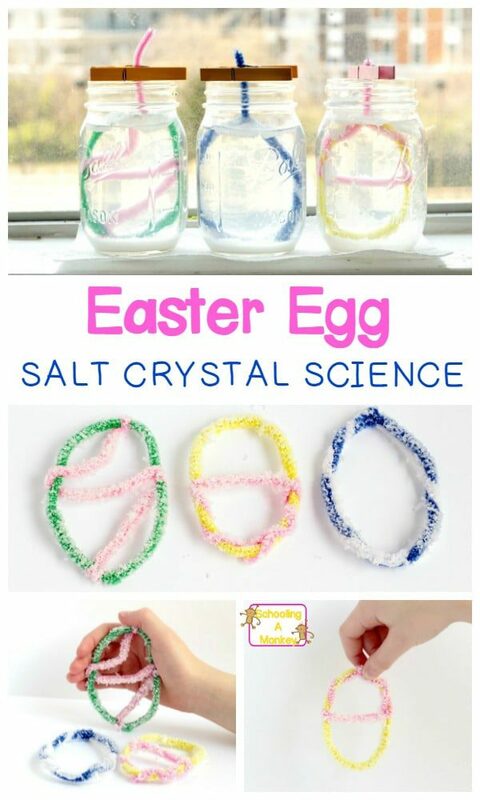 Why just make regular salt crystals when you can make pretty Easter egg salt crystals? Kids will have a blast discovering how scientific principles, concepts, and experiments can be illustrated to match every season and holiday of the year. 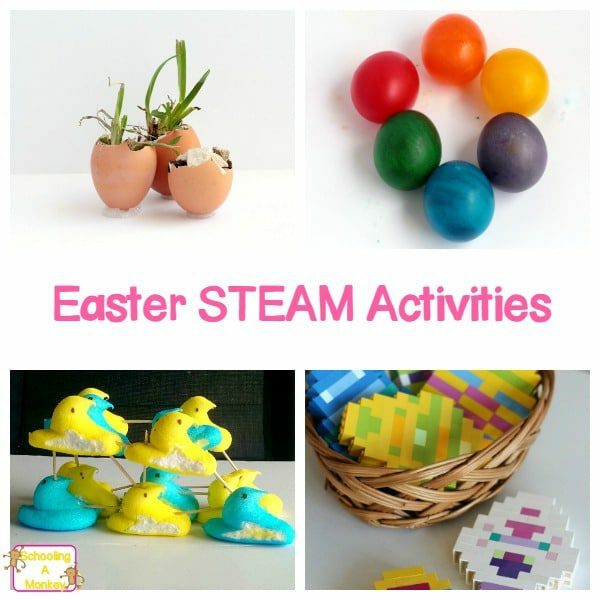 You certainly don’t have to do Easter science experiments, but it’s a lot of fun if you do! WHAT DO KIDS LEARN WITH THE SALT CRYSTAL EASTER EGG SCIENCE EXPERIMENT? When you make salt crystal Easter eggs, kids can learn a lot! With a single salt crystal, you can learn about salt molecules, ionic bonds, evaporation, molecule attraction, and the chemical properties of salt and water. Use our science experiment worksheet to guide kids through the scientific method when completing this activity. 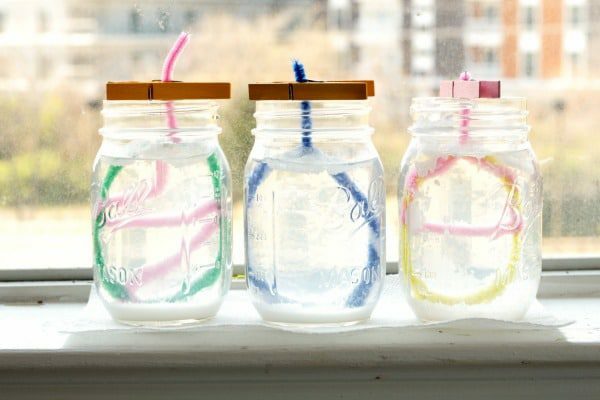 Science: Use this project to teach evaporation, water saturation, density, chemical bonds, molecules, and chemistry. Technology: It takes technology to boil water! Imagine how hard this project would be if you had to boil the water over a campfire. Engineering: Kids will need to determine how much salt to use for their projects and what design to make their eggs. The more additions an egg has, the more crystals it will attract! Art: The completed eggs make pretty decorations. Math: Measuring and temperature measurement are used in this project. 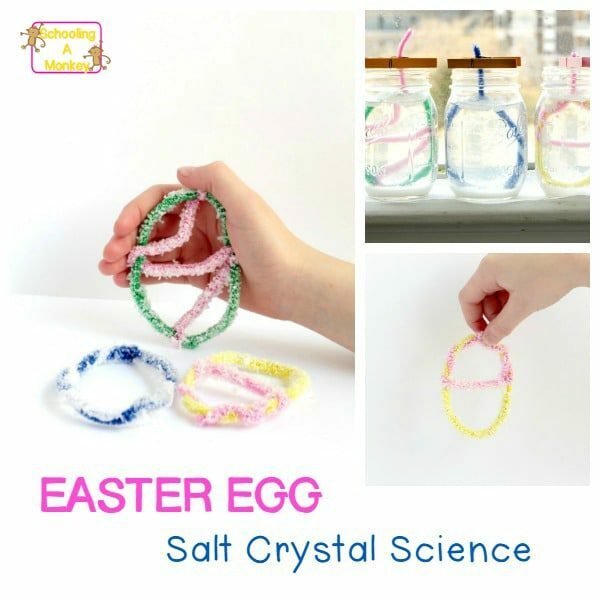 These salt crystal Easter eggs are a cinch to make, but they are the perfect bridge between science and the Easter holiday. Learn how to make them right here! 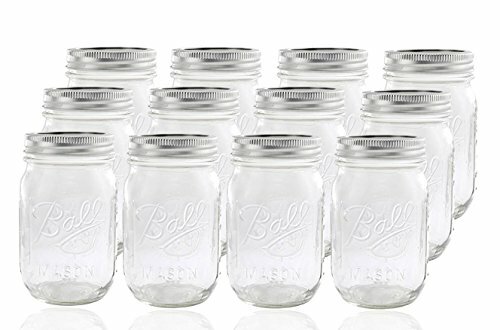 First, boil enough water for all your mason jars. Our jars could hold two cups of water each, so we heated six cups. Once the water boils, add in your salt. It takes about 1 cup of salt for each salt crystal egg. 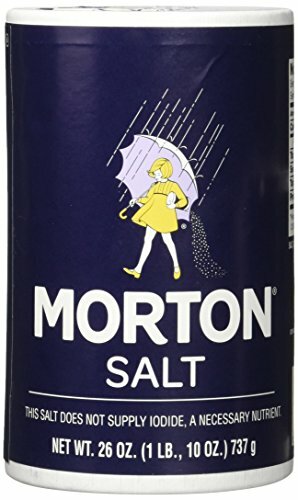 You probably can get the crystals to form with less salt (another good idea for a science project! ), but they form a lot faster with over-saturated water. When the salt starts to form a crystal on top of the water, you’ve added enough. Pour the water into jars. 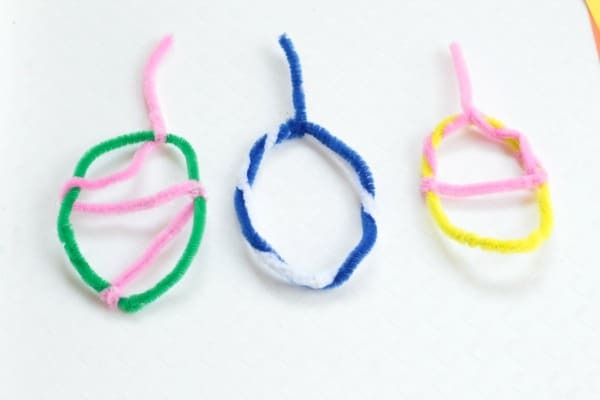 Let the kids form egg shapes with the pipe cleaners. 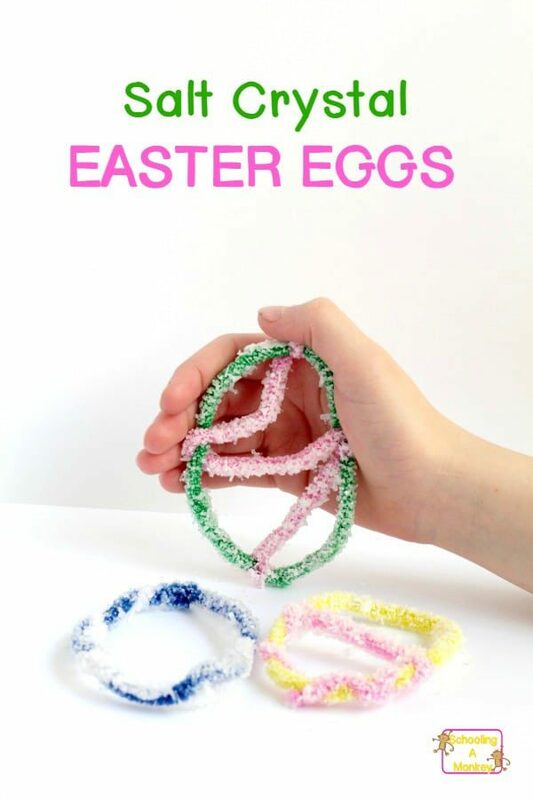 We used two pipe cleaners for each egg. This gave us enough to make the egg shape and leave a bit left over to suspend the eggs in the saltwater solution. Use a clothespin to suspend the eggs inside each jar so that the eggs don’t touch the side or bottom of the jar. Wait about 2-3 days for crystals to form. The longer you wait, the bigger the crystals will be! 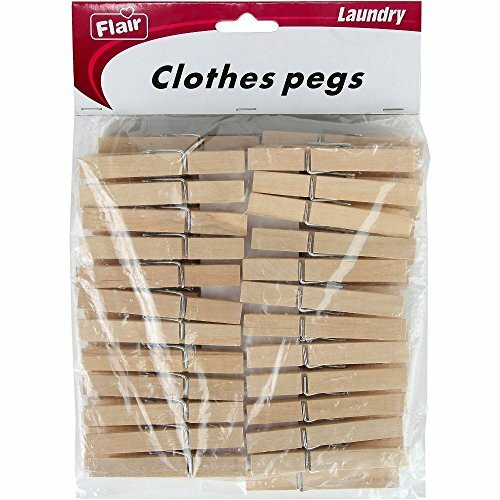 Remove the eggs from the jars and trim the hanger with scissors. Dry the eggs on a paper towel. Don’t let the salt crystals get too wet or they will melt again. When the eggs are dry, use a magnifying glass to inspect the crystals. My kids are always impressed at the rectangle shapes that salt crystals always make!